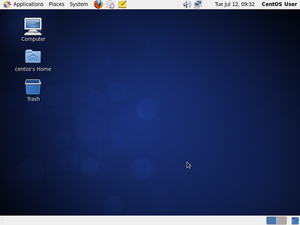 CentOS is a free operating system based on Red Hat Enterprise Linux (RHEL). It exists to provide a free enterprise class computing platform and strives to maintain 100% binary compatibility with its upstream distribution. CentOS stands for Community ENTerprise Operating System. CentOS is the most popular Linux distribution for web servers with almost 30% of all Linux web servers using it. CentOS version numbers have two parts, a major version and a minor version. The major and minor version numbers respectively correspond to the major version and update set of Red Hat Enterprise Linux from which the source packages used to build CentOS are taken. 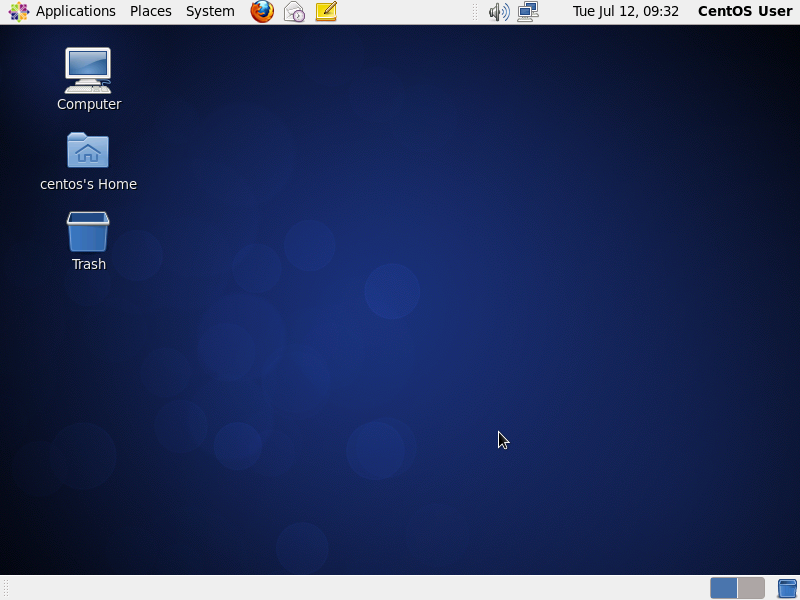 For example, CentOS 4.4 is built from the source packages from Red Hat Enterprise Linux 4 update 4. Since mid-2006, starting with version 4.4 (formally known as Red Hat Enterprise Linux 4.0 update 4), Red Hat has adopted a versioning convention identical to that of CentOS, e.g., Red Hat Enterprise Linux 4.5. The architecture information is taken from the CentOS Overview page. i386, x86-64 6.1 TBD 2011-05-19 ? A Live CD version of CentOS is available at mirror.centos.org. A Live USB of CentOS can be created manually or with UNetbootin. Tao Linux was another prominent distribution derived from Red Hat Enterprise Linux. Its primary developer announced in June 2006 that Tao would be retired and rolled into CentOS development. Tao users migrated to the CentOS release via "yum update". In July 2009, it was reported that CentOS's founder, Lance Davis, had disappeared in 2008. Davis had ceased contribution to the project but continued to hold the registration for the CentOS domain and PayPal account. In August 2009, the CentOS team reportedly made contact with Davis and obtained the centos.info and centos.org domains.